Call 843-834-0607 to schedule service today! Many Charleston and Berkeley county homeowners do not realize the dangers of air pollution that exists inside their South Carolina homes. The EPA states that the average person spends about 90% of their time indoors, and studies have shown that indoor air pollution can sometimes be two to five times to even 100 times higher than outdoor air pollution. Allergens such as dust, dirt, and pollen are circulated around our indoor living space, and we continue breath this air for many hours. These particles in the air will increase our allergy symptoms and affect our respiratory systems. In order to stop indoor air pollution, many home owners are now choosing to use air filtration systems or air cleaners in their home. 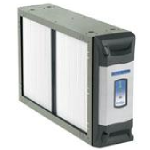 HEPA filters can also be used in systems such as air conditioning, heating and other ventilating systems. Let our Passion HVAC contractors provide your home with air filtration solutions that will make your home a healthier and safer place to live. We provide up front pricing so that our Charleston & Berkeley county clients understand exactly what the service or repairs will cost before the work is performed. Our customers approve the pricing before the work is started. We will respect for your Charleston home and complete the job with speed and precision. Our HVAC technicians always clean up when they are finished and will make sure the job is done to your satisfaction.